[1:46] <cnnx> anyone interested in cubesats? [4:23] <DannyFritz> But i'd like to make it redistributable in some fashion. [4:29] <DannyFritz> might be a good exercise for me to learn how to make a deb file. [6:58] <girlzgirls> hello! i finally have all my pi components and im trying to change a little bit of code in this simple gif project. can someone help me write the code properly? [6:59] <girlzgirls> i want my pi to play gif files. but when one ends i just want it to move to the next and continue to follow that continuously. [9:13] <mfa298> I think that depends how you get the audio. the 3.5mm analogue jack is known for not being brilliant quality. [9:22] <dreamon> Is it possible to draw graphics in textmode? I dont want to start in a GUI. [9:28] <mgottschlag> well, SDL draws to a framebuffer, whereas ncurses only allows text positioning etc, right? [9:39] <dreamon> mfa298, ncurses its only for ASCI graphics. I want to draw lines and some jpgs positioning. [9:41] <dreamon> I need as much resource as possible so X server I cannot use. [9:44] <MiningInc> I hear this constant hum/ faint crackle and it is driving me nuts. [9:56] <oq> nothing wrong with windows audio stack. [9:58] <mfa298> I'm not sure that's any worse than some of the linux audio stacks. [10:22] <pitastrudl> is there anyway to do this without me rebooting the pi? [11:14] <drjam> silly question but, does it work any other way? [11:14] <drjam> like, have yo installed raspian etc and does it work online? [11:49] <salad> so my raspberry pi broke 2 sd cards, here are some pictures https://imgur.com/a/vUvjG? [11:51] <oq> salad: you mean you broke 2 sd cards because you can't be trusted with a device that has an sd card stick out? [11:51] <salad> are you retarded? [13:15] <flo|va-nu-pied> Anyone succeded in bnooting the RPI3 via PXE ? [13:16] <mfa298> flo|va-nu-pied: I think many have, although I'm not sure how many here have done it. [13:16] <mfa298> although as a starting point for debugging it might be worth putting all the files you have on a SD card and see if it boots that way. [13:18] <salad> who said the card was inserted wrongly? [13:30] <gordonDrogon> not Pi's but PXE booted many little systems - are you using the direct ROM bootloader or some intermediate step like u-boot? [13:31] <gordonDrogon> salad, just get some new SD cards and deal with it. there are over 12 million Pi's out there and one person with a claimed SD card breakage is just unlucky. [13:34] <gordonDrogon> flo|va-nu-pied, I've not PXE booted a Pi (no reason to here), but it sounds like something missing - can you tun tcpdump on the server to see if it even tries to get the kernel, etc. ? [13:34] <gordonDrogon> or put it on a hub or mirrored switch port to see what it's doing? [13:34] <gordonDrogon> that would be my approach at this point. [13:37] <gordonDrogon> I have an old 10Mb hub - 8 port + a bnc port. [13:41] <gordonDrogon> or slightly smarter switches with port mirroring. [13:42] <mfa298> we mostly moved to having managed switches out to the edge so had port mirroring. [13:43] <gordonDrogon> I have a nic HP switch in my co-lo I'll be recovering for home use in a month or 2's time. [14:44] <Nia> Problem is it is a Pi Zero and I don't have a USB hub. So I can't really connect anything to it with my current equipment. Is it possible to make the kernel export a core after/during a kernel panic to analyze in GDB or something? [14:46] <Nia> Right. But I think my wifi dongle is causing the panic. So that's using the USB port. [14:47] <Viper168> have you considered plugging it in until it's working then making it headless? [14:48] <mfa298> no USB on the zero is required for that. [14:49] <Nia> Hmm... I think I'm gonna buy a USB hub. I need it anyway to get it working for what I need it for. [14:52] <Nia> Hm... after looking up "FTDI usb/serial dongle", I'm finding it's a device that converts a USB connection to a serial port, which my computer doesn't have. [14:53] <mfa298> USB on your computer, serial on the Pi. [14:53] <Nia> That's not a problem. [15:48] <kihis> umm. how do i configure ntpd to get time from gps device? [15:50] <gordonDrogon> kihis, it's a generic unix thing, not Linux or Pi specific, however you really need a PPS interface from the GPS, else it will be accurate but not correct. [15:51] <gordonDrogon> so the first thing to work out is if your gps has a pps output. [15:53] <gordonDrogon> that may help. [15:55] <kihis> another question: is there a fancy way to attach a phat AND some other things (such as gps module, 1-wire temperature sensors) to zero? [15:57] <kihis> shauno: ummm. where do i find long pin headers for pi? [16:00] <kihis> shauno: so i solder that to phat and male pins to pi? [16:55] <gordonDrogon> ip68 isn't too bad to achieve. [16:58] <Nia> Okay so it's not a kernel panic. Not sure what's going on actually. [17:00] <kihis> gordonDrogon: is there any complete cases to mod or should i consider 3d printing? [17:01] <gordonDrogon> I'd never 3d print something like that. the Pi Weather station is inside such a case - let me see if I can find something online similar. [17:01] <gordonDrogon> actually, google is turning up millions of results, so just google for it in your country. [17:04] <gordonDrogon> you'll want a case with a built in O-Ring closure. [17:05] <gordonDrogon> and ifit's just for general outdoors use, then ip67 will be good enough. [17:06] <gordonDrogon> I'd cut a hole, then hot-glue some acrylic into it and mount the lcd behind it. [17:06] <gordonDrogon> I used to own RIBs and do a lot of scuba diving..
[17:06] <gordonDrogon> as long as it's not water soluble. [17:06] <gordonDrogon> or use a completely clear case. [17:10] <gordonDrogon> sorry for the long url - but that might give you ideas - arduino often has more hits for specific stuff. [17:15] <gordonDrogon> all sorts of electrolytic corrosion problems if you're not careful. [17:16] <Chillum> kihis: all the salt went into your surstr�mming? [17:17] <gordonDrogon> tha'ts only ip66, however tha's good for jets of water rather than extended submersion,. [17:25] <gordonDrogon> boat + waterproof = submarine. [17:32] <gordonDrogon> tilt is easy. Blue = up the right way, green = upside down. [17:34] <gordonDrogon> the 4D stuff worked like that too. [17:45] <gordonDrogon> Chillum, how do you program the nextion ? With the 4D displays I had to use their creator thing under MS Windwos. [17:47] <gordonDrogon> no matter. I've just found their site. it wants an EXE, so I guess it's also Windows only. [17:48] <gordonDrogon> I've actually been doing a lot of mimic display stuff in RTB Basic (on a Pi) recently though. Might try to put together some sort of library thing for it. [17:49] <gordonDrogon> it's quite hard work to get things working that actually look right though - epecially for scaling for different displays. [18:07] <gordonDrogon> yea, same as the 4D stuff I worked on a few years back. [18:15] <dreamon> hello. Im playing videos with mpv works great. but if resolution not fit I can see textmode stuff on upper and under corner of screen. [18:16] <dreamon> how can I hidde mpv output text? [18:16] <Wizard> Also it may have some "quiet switch"
[18:21] <dreamon> cool → --really-quiet that worked.. Thanks.. search the wrong thing. thought noverbose..
[18:27] <Wizard> Or am I wrong and this is Pi3's USB speed fault? [18:34] <chisight> it means 0x80. [18:36] <kihis> why it needs bitwise? [18:37] <gordonDrogon> I've no idea what this is, but some programmers do stuff like that to indicate a base value + some option bits. [18:37] <Giddles> what could caused this? [18:38] <gordonDrogon> Giddles, kernel/sd corrupt. low voltage. hardware breakage, etc. re-image the SD card. [18:38] <chisight> or the programmer is paid by the byte of source. [18:38] <hackal_> gordonDrogon: ok but what it does? Is thet bitwise OR? [18:38] <gordonDrogon> hackal_, in most languages the vertical bar is bitwise OR, yes. [18:42] <gordonDrogon> if you have a Pi3 then you could test the SD card in that. [18:42] <gordonDrogon> that would help eliminate basic hardware issues. [18:45] <Giddles> what was the golden rule for swap filez again? ram * 2? [18:49] <gordonDrogon> it's not critical antymore. [18:49] <gordonDrogon> if you're swapping for your applications, then maybe the Pi isn't the best solution though. [18:49] <gordonDrogon> however a few dozen MB can help. [19:11] <chra94> swift110, you swiftfreeze? [20:20] <ball> What sort of throughput do they get on their GBE port? [20:39] <gordonDrogon> I feel my old Acer Aspire One with 1GB of RAM is slower than a Piv3 with 1GB of RAM, but it's hard to be sure. [20:40] <gordonDrogon> the AAO has a dreadfully low SSD. probably slower than the Pi's SD. [20:40] <gordonDrogon> the advantage of the AAO is that it's a laptop. well netbook. you know, screen, keyboard, trackpad in one unit without external wires, etc. [20:43] <ball> That sounds like a glacially slow SSD. [20:44] <gordonDrogon> I've no idea. [20:45] <shauno> it wouldn't really surprise me if the acer felt slower. intel atom n270? since core 1.6GHz ..
[20:47] <gordonDrogon> it's been a nice little box for what I've used it for though. [20:47] <binaryhermit> then again, the A53 is also in-order? [20:57] <gordonDrogon> I have an extra 0.5GB of RAM for my AAO which I need to install at some point. [20:57] <ball> I like Pie and the Pi. [20:57] <gordonDrogon> the oven? it's... an oven. it bakes stuff. [20:57] <gordonDrogon> it's a very cheap domestic 68l fan oven - the Pi controls the temperature. [20:57] * ball thinks about thermocouples. [20:57] <redrabbit> you did put a second thermostat inside? [21:00] <gordonDrogon> there are 3 thermocouples inside. [21:01] <ball> My oven has fire in it. [21:06] <gordonDrogon> next bakery project is a thing called a retarder/proofer - basically a box that can be chilled (to retard bread dough) and heated to proof it. done on a timer. [21:36] <s3nd1v0g1us> is using the newer models of pi as an air-gapped machine feasible with the added design features that have implemented in the B; e.g. wifi? or is the pi still somewhat insulated from most malware in that generally malware is designed to infect non ARM devices? [21:44] <mfa298> s3nd1v0g1us: quite a bit of the linux malware is script based so can run on most *nix. The main security steps are to remove the pi user and make a new user with strong password. [23:18] <schangmi> "dmesg |grep Machine"
[23:22] <TTN> hi all :) I'm building a control system for a hyrdoponics setup. 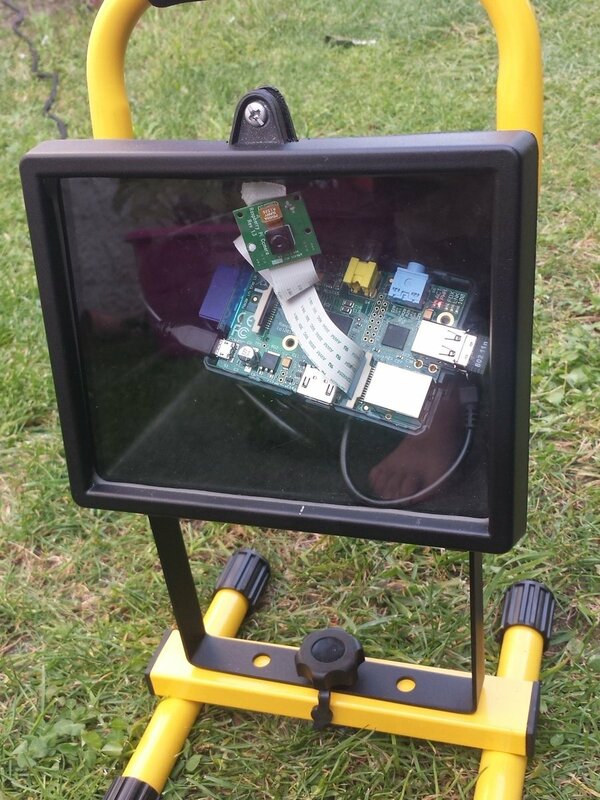 Its being driven by a raspberry pi, a relay module and an 7inch touch screen. Can anyone recommend a gui kit to program the interface in? I've had a look at qt4 and kivy. I really like qt4 designers drag and drop style, but I think kivy is the way to go, though I struggle to program with it. Does anyone have other recommendations? [23:23] <schangmi> shauno thanks. Yes, that is very confusing indeed. [23:23] <mfa298> at that point rev2 probably made sense. [23:30] <hackal_> Why do they call write() in reading operation? Is that how i2c works? [23:30] <hackal_> My goal is to rewrite this to python using smbus library but all my attempts did not work. [23:41] <hackal_> shauno: thank you, how different is arduino from rpi? Been in the "raspberry industry" only 1 month. [23:49] <hackal_> hmm I am little less confused but still not sure if I get it exactly. Where can I see the implementation of Wire.write function in sparkfuns example? [23:49] <hackal_> ali1234: yeah I see now. [23:54] <hackal_> Thank you, I think I need to read more about how i2c works. Would you suggest any resources. I am looking at https://learn.sparkfun.com/tutorials/i2c right now. [23:59] <ali1234> link to datasheet?